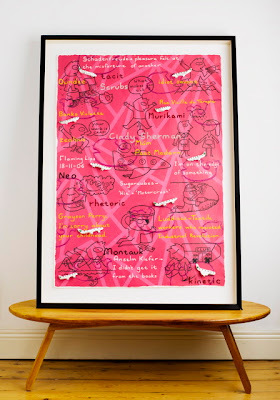 In September 2007 I presented ‘The Memory Laboratory’, at Filmbase in Templebar, as part of the Dublin Fringe Festival. My work concerns itself with issues of identity and character and in this project I dealt with my personal shortcomings in the area of memory. I spent a year creating paintings comprised of information I wished to retain. 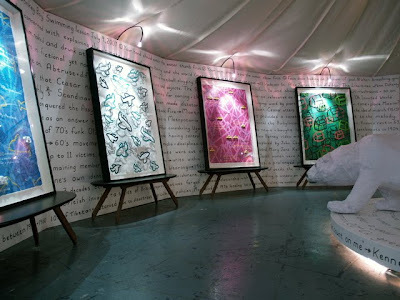 Each piece contained several layers of data and images rendered in attention grabbing materials such as swarovski crystal and miniature plaster models. 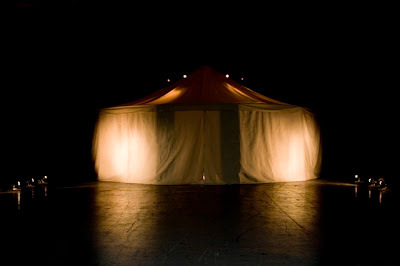 I then decided to make a large, ten-sided canvas tent to house these paintings. 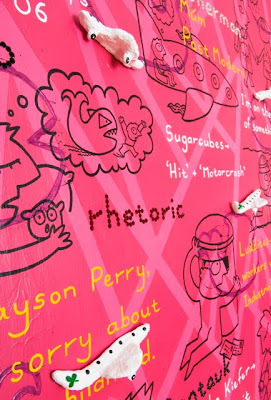 I covered the walls in text relating to further information I was processing at the time such as word definitions, historical events or the minutae of my daily existance. A soundtrack of music by obscure bands, whose names I could never remember, played on a loop. 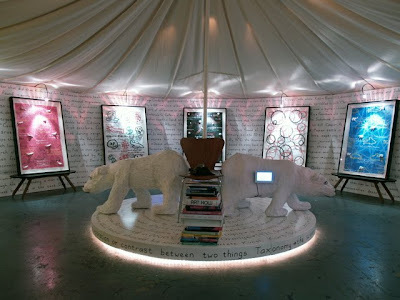 Two papier-mache polar bears housed digital photo screens displaying the forgotten names of contemporary artists. You can access a brief interview in relation to the 'Memory Laboratory' on Ryan Tubridy's radio programme by clicking here. Scroll down to Wednesday January 3. Also you can find photos from the opening night on the Fringe website by clicking here. Scroll down to the bottom quarter of the page.